Another book I love, like love-love — This is where I have poured some of my heart in soul, in ink! 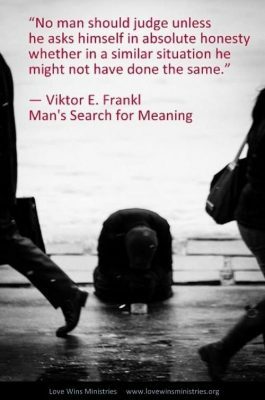 Man's search for Meaning - Viktor Frankl, This book took me FOR-ever to read, but is one of the most moving and eye-opening books I have laid my eyes on. The first half of the book is a first hand account of Viktor Frankl's horrendous experience in the Nazi concentration camps over a three year period. I couldn't read more than a few pages at times. It was SO heavy. However, we should not get to turn a cheek to the atrocities in life to spare ourselves the understanding of a thing, because what someone else goes through is not about you. To look away from the sadness and tragedy of the world, is like slapping those who share it, in the face. It's like invalidating the very experience. It is not always pleasant, sometimes it is just horrible on every level, it is all life. The depths of hell that these humans were faced with is hard to imagine. The hatred, fear, pain, punishment, hunger, anguish, and loss thrown at them daily would force the strongest of people to just give up, many did. 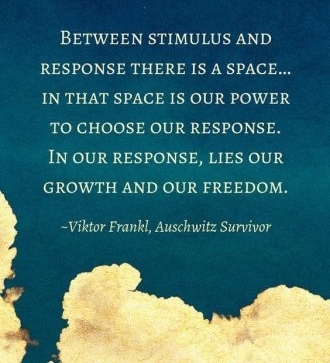 Frankl, having a back ground in neurology and psychiatry, sought life out any way he could, through the madness, chaos, starvation, over-working, sickness and delirium he found a way to cope however he could, to survive. The accounts of just his experience, evoke such a sadness for the lack of humanity, and a sympathy for a time I didn't even exist in. The second half of the book, is just like the title says. It is his search for meaning, that propelled his future direction in teaching, writing, lecturing, helping, sharing. It follows his works, and specific examples for understanding it. He did all of this, because he was able. He was alive, he made it, and his story like so many that didn't survive needed to be told. He continues to apply the search for meaning in life to many situations. One example that resonated with me deeply, was him seeing a patient who was severely depressed after the passing of his wife. Frankl questions the man, on how his wife would have managed if he had been the first to go instead. The man knew his wife would have been miserable without him, thus lightening the grief with the understanding that he had to be without her, so that she never had to experience such sadness. He got to spare her, save her of that anguish. The peace this brought him, from understanding the meaning, granted him relief from his depression. Carrying this idea, our constant search for meaning, has stayed with me ever since. "It's not that I don't feel the pain, it's just I'm not afraid of hurting anymore". To survive something we are not built to, has helped me understand the depths of pain, anguish, sadness, realness. It helps me focus more on the joy, the light, the love... and to share those very things. I could go on into more examples, and tell you so much more... but the point is to recommend that you read it ;) try just 20 minutes a day! Let me know your thoughts by commenting below!